Why your dog is yelling? Feel confused or embarrassed? Talkdog Dog Language Translator will translate your dog's yell into human language, voice and cartoon, based on scientific data analysis. So you could know what the dog's feeling and what it want to do. What's more, there are seven more functions on the machine! Regularly inform you to take your dog to do health examination, inject vaccine and cut hair etc.. 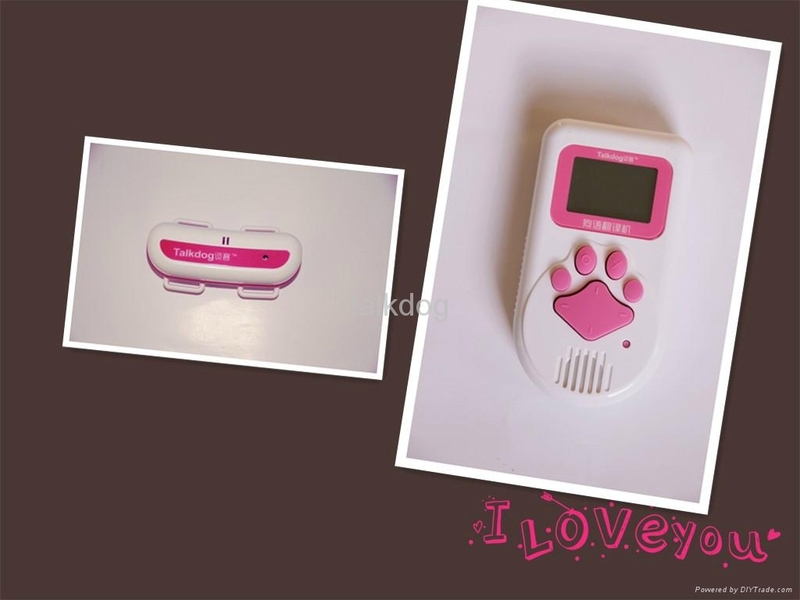 It will record the dog’s daily emotion change, and then show in a graph. Then you could know whether your dog is happy or sad. It includes all the dog’s daily motions with explanation. With this dictionary, you can know the meaning of your dog’s motions! It can set the time for a walk or feeding. Then even in the busy day you can take care of your lovely dog meticulously. Do you want to know your character is similar to which kind of dog? Do you want to know how to get along better with your dog? You’ll know the answer to above questions through the psychological test quiz. The translator contains plenty of knowledge about dogs. By learning it, you can know your dear dog’s diet, lifestyle, disease etc and some other issues to be aware of. How much do you know about your dog? Just challenge yourself in the Knowledge training! This is an extension of the Knowledge training. Through it, you could know your pet dog better, and will keep the life harmoniously with your dear dog. 1. Made of non-toxic ABS housing high-grade materials to protect you and your family’s health. 2. Keys are made of nontoxic grade silicone, protecting you and your family’s healthy. 3. Core processing chip adopts high-speed large -capacity IC, responsive display fast. 4. Use a large LCD screen for convenient recognize and read. 5. Lord, sub-machine communications using high quality 2.4G Bluetooth module, for stable and long distance communications. 6. Adopted omni-directional Aeronautical communications fixed pitch ultra-sensitive electret condenser Pick-up Cartridge to detect your dog’s tiny abnormal motion. 7. Loudspeaker adopts high-quality micro moving-coil speaker to ensure a loud and real voice. 8. Professional announcer witty translation dubbing, allows you to correctly understand the dog's emotional expression. The translator makes use of a given sub- miniature microphone of sub machine to pick up pet bark into digital data, send to the mainframe and voiceprint analysis device for high-speed computing. Using complex DSP algorithms and comparing and identifying pet dog bark constantly, the machine will translate the data into human language, and play it by means of human voice , English text, animation. The recognition accuracy reaches the international standards. To understand the communication problems between people and pets dog, our Engineering Minister, James Lee, chief engineer of Miracle ( Hong Kong ) International Holdings Ltd. R & D team, led the young team to collect materials of all varieties of pet dogs and visit farms cooperation with dogs physiologists, psychologists, senior dog trainer. Through three years, finally they overcame all difficulties such as dogs bark , emotional expression and intelligent voice communications, engineering and behavioral problems. 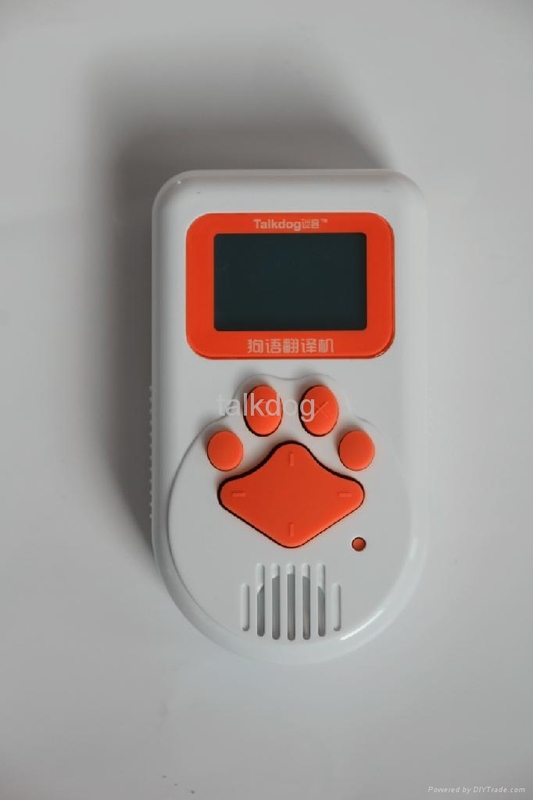 Learned from developed country’s technology, they finally created China’s first Talkdog intelligent dog language translator. Nervousness and excitement: They will feel happy and nervous mixed together when they see other dogs or people. Sadness: When they stay at home alone, they feel lonely and upset. Frustration: When they are waiting for their owner all the time, they are boring . Or their desire can not be met, they feel frustrated. Threat: They want to show their energy or want to take their things back. Request: They want to play a little longer or want to eat something. Self-expression: They want to draw attention to people, or there are some visitors. They will let out a string of roaring barks.